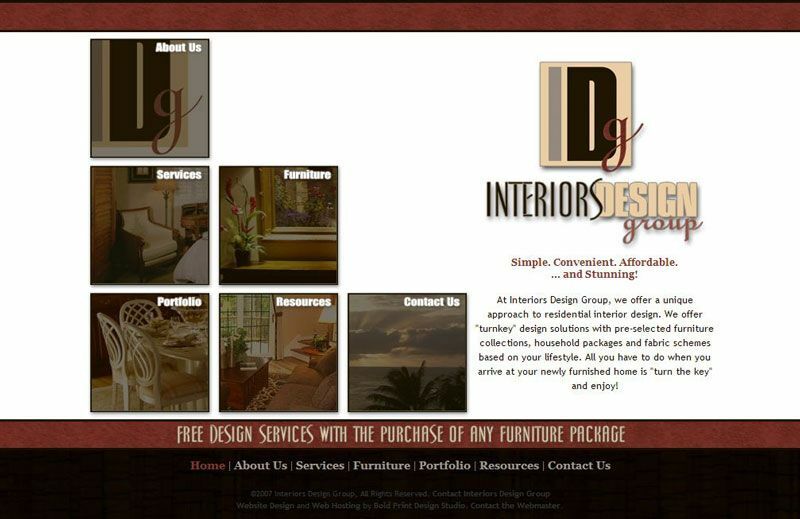 Basic informational website design for Interiors Design Group. 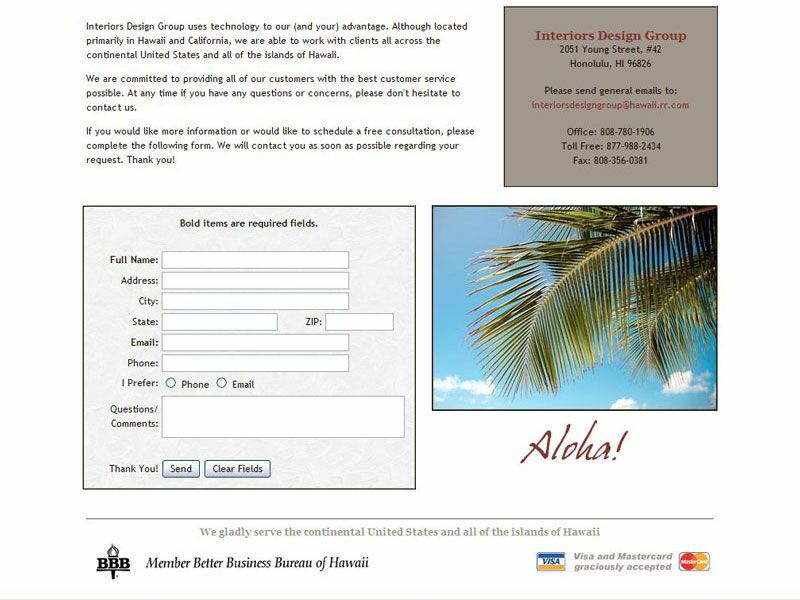 They hired Bold Print Design Studio to update their overall look, starting with the logo and completing the package with this website. 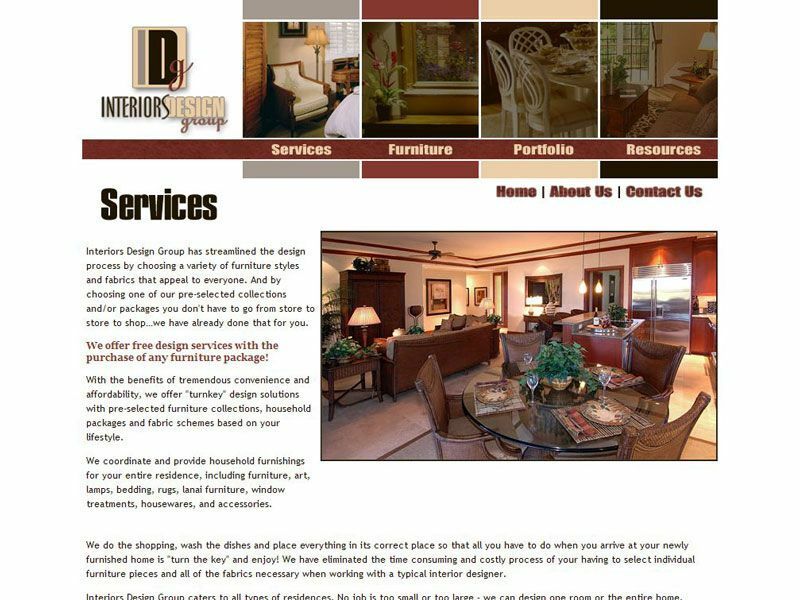 The website showcases past projects as well as furniture collections and packages offered in multiple image galleries. 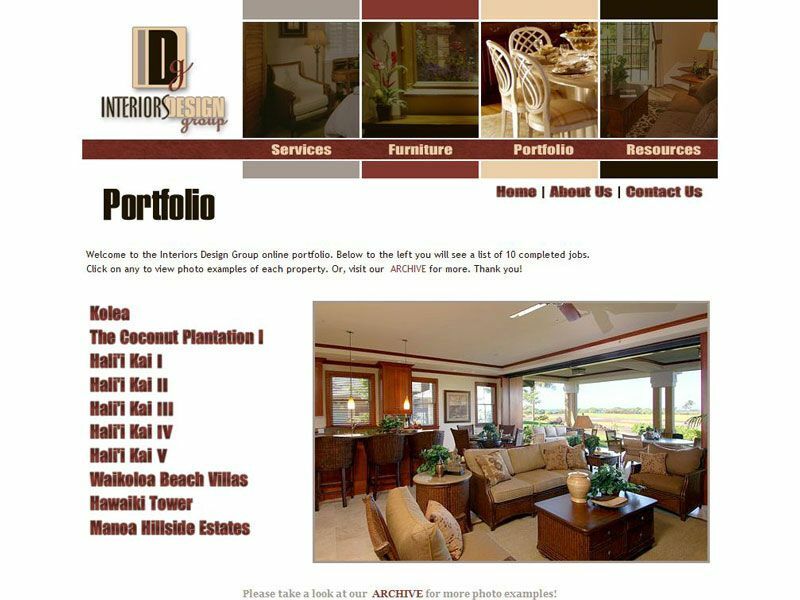 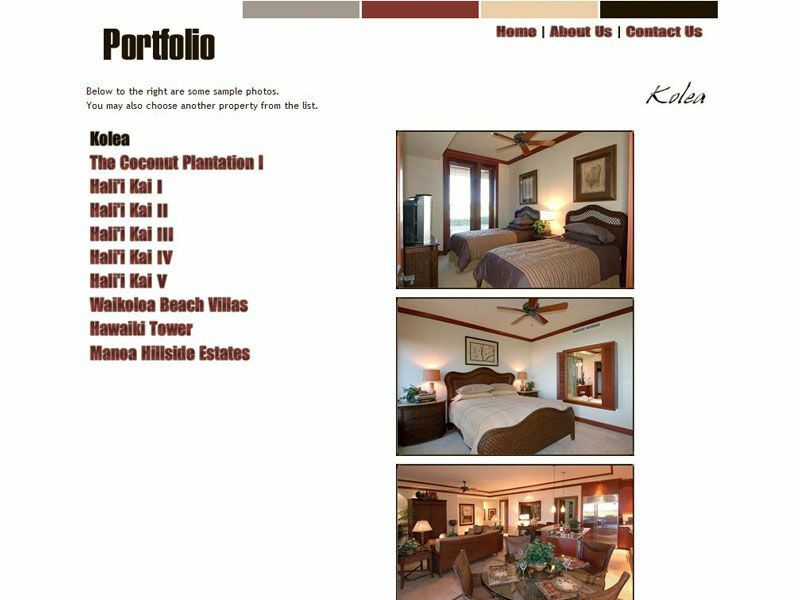 The image galleries feature rollover effects that bring up the different portfolio images and furniture collections in a sophisticated and elegant presentation without taking up lots of page space or forcing the browser to scroll down the page.